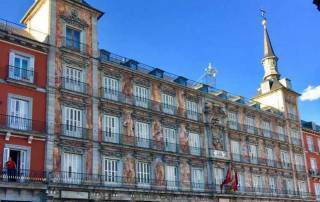 On day 8 we repositioned from Granada to our Madrid Tour. 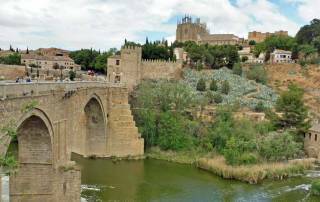 We stopped along the way at Toledo to tour the city. At the viewpoint south of the city, you could see the entire town encircled on 3 sides by the Tagus River. 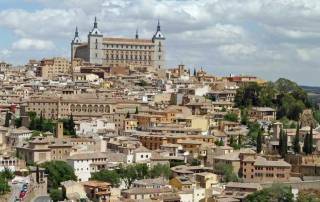 Toledo has seen such a large influx of tourists. To accommodate the crowds, parking has been added on the edge of the city and a series of escalators then help everyone reach the old town. 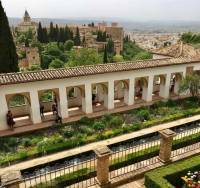 The escalators delivered us to Zocodover Plaza next to the Alcazar, which was the starting point for our walking tour. 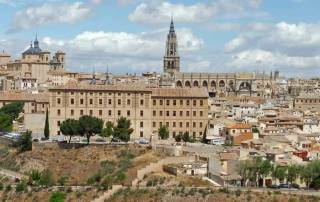 Toledo is famous for its knives, swords and armor. 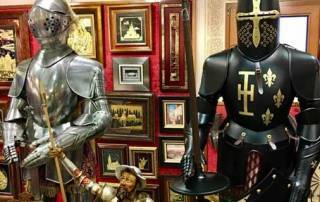 As soon as we began wandering the narrow streets, the fully clad knights began appearing in store fronts. 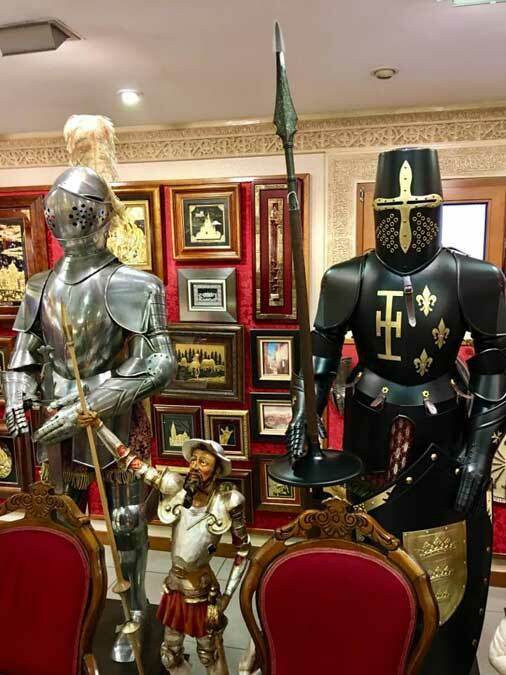 Tourists can purchase a full suit of amor and have it shipped home. 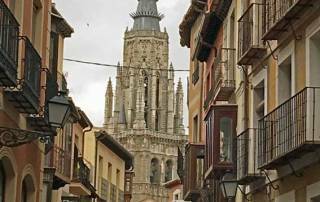 After a short while, we reached the small plaza which faces the Cathedral of Toledo and the Town Hall. 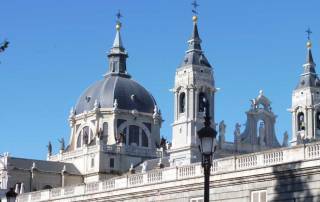 We visited the Church of Santo Tomé to view a famous painting by El Greco. 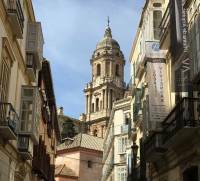 In the Jewish Quarter, we toured the Santa Maria la Blanca synagogue, which is the oldest synagogue in Europe. It’s strange, but the synagogue has been owned by the Roman Catholic Church since 1405. 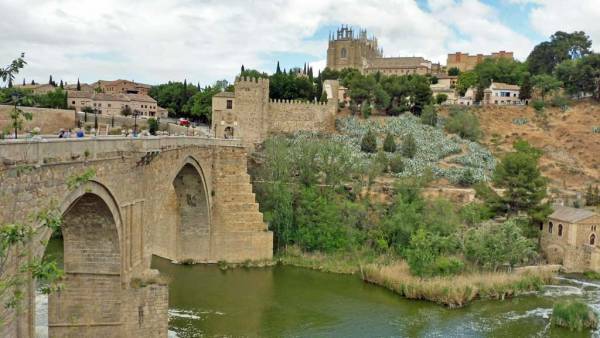 We walked past the Monastery of San Juan de los Reyes and crossed the San Martin Bridge over the Tagus River to complete the tour. 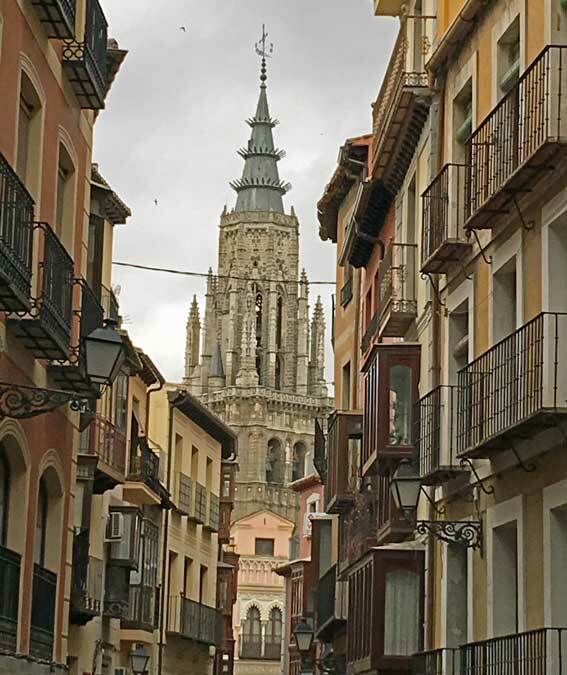 Toledo provided an entertaining afternoon with a bit of exercise too. We finished the day by driving to our hotel in Madrid. 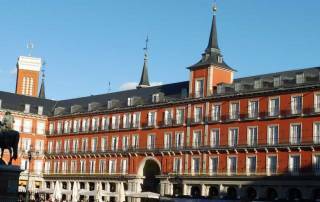 We arrived at dinner time at the NH Principe de Vergara Hotel. I couldn’t wait until the next day, so I started my own personal Madrid pre-tour. 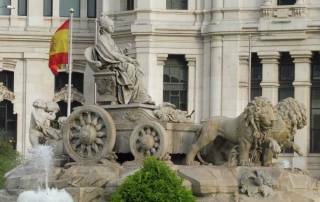 I walked south to Retiro Park to see the statue to King Alfonso XII with its impressive colonnade backdrop. The locals were out rowing rented boats in the pond in front of the statue. Then I walked to the arches of the Puerta de Alcalá. 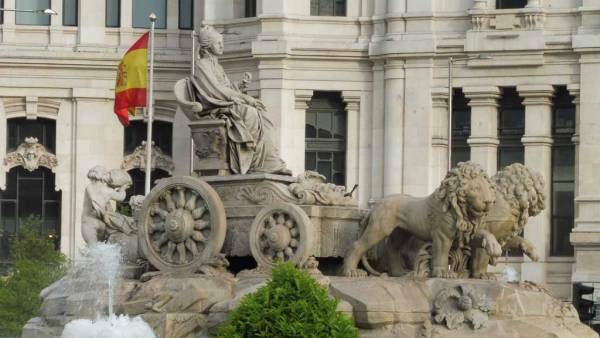 Walking a few more blocks, I reached the town hall and the Cibeles Fountain. I’d made a great start on Madrid. On the morning of Day 9 we started with a bus tour of the city. I was glad for the time I’d spent the day before, as it’s just not the same on a bus. 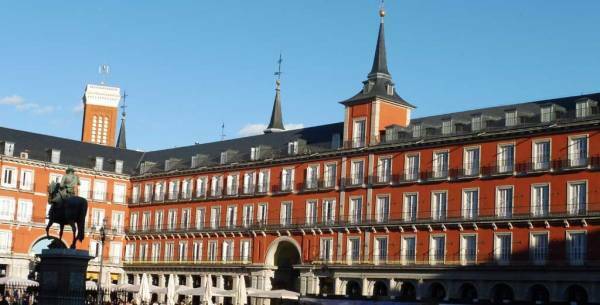 At the Royal Palace of Madrid, we had time to walk about the grounds. 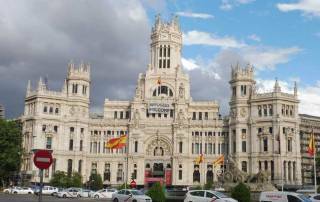 The Prado Museum was our next stop. I abandoned the guided museum tour for the most part. The Descent from the Cross by van Der Weyden was the highlight of the museum for me. His painting looked so real that I was drawn to come back again after a few minutes to view it a second time. 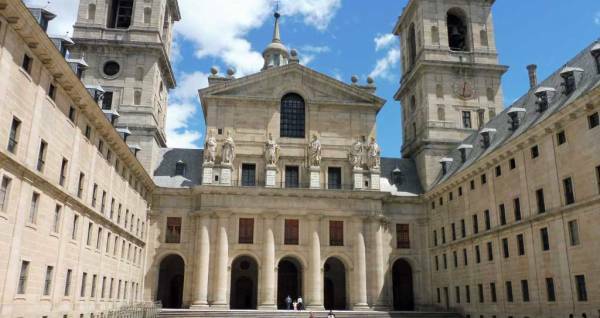 In the afternoon, the optional tour to Escorial took us about an hour from Madrid. Escorial belonged to Spanish royalty and contains a monastery, basilica, royal palace, pantheon, monk’s library, museum, university and a hospital. The ancient library at Escorial was almost indescribable. Some of the library books are more than a 1,000 years old. 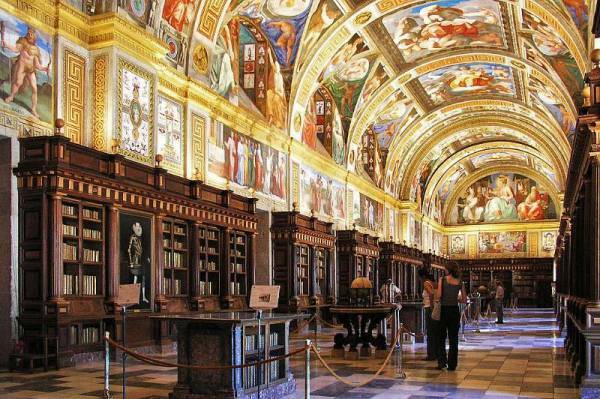 Frescoes that remind you of the Vatican covered the vaulted ceilings above the book cases. The scene reminded me of an elaborate movie set. Pictures weren’t allowed, but many tourists ignored the restriction. The internet has many photos of the library. 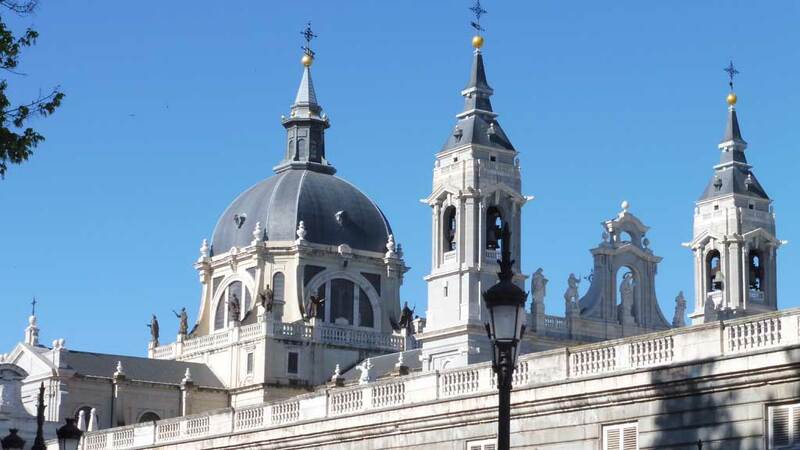 The tour also descended into the pantheon, where many of the Spanish royal line are interred in ornate memorials. 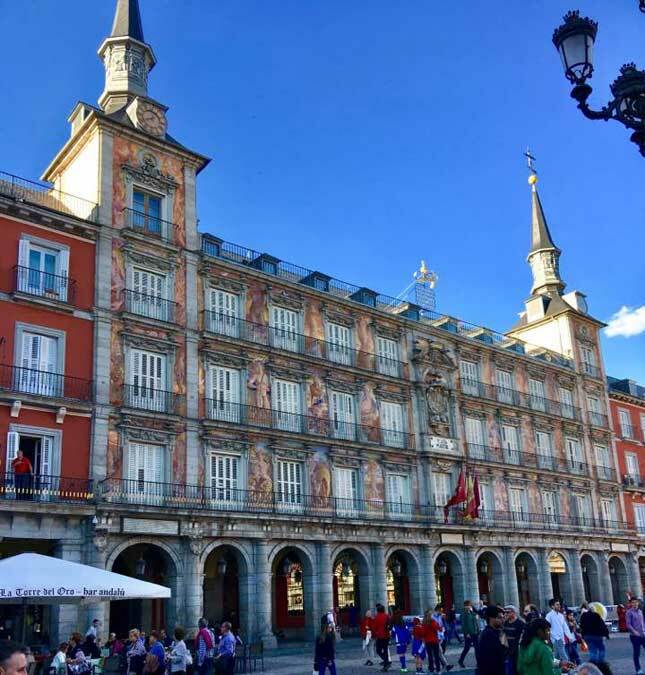 Later that evening, we enjoyed the atmosphere of Madrid in the Plaza Mayor, while we ate dinner in the open square.